The list of Important Gk Questions from science physics were given here. 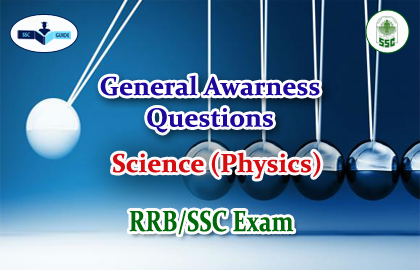 Candidates those who are all preparing for SSC / FCI and All other competitive examination can use this material. 1).Who invented the electric battery ? 2).Which of the following is a vector quantity? 4).Four metallic balls have been kept in sunlight. Which will be hottest ?